Curiosity is a bad thing, is it? On the contrary, it seems to be a very positive quality, good for individual fulfilment and self-improvement. Curiosity could also play a major role in the development of the human brain. German researchers have demonstrated that curiosity stimulates the production of neurons in the hippocampus via the accumulation of experience within a rich environment offering a wide range of possibilities and activities. A child is naturally curious about his or her surroundings. This desire to explore the world should be encouraged because it is a sign of the vitality of the child and his/her awakening to life. Enabling children to discover and question their environment gives rise to new centres of interest and defines the individual personality. Limiting children, or refraining them, could weaken their imagination and their creative capacity or, even worse, create a feeling of fear or intolerance towards the unknown and the other. And what could be more exciting for curious children than to be invited to step into the shoes of a reporter? That initiative was conducted with the children accompanied by the House of Hope. 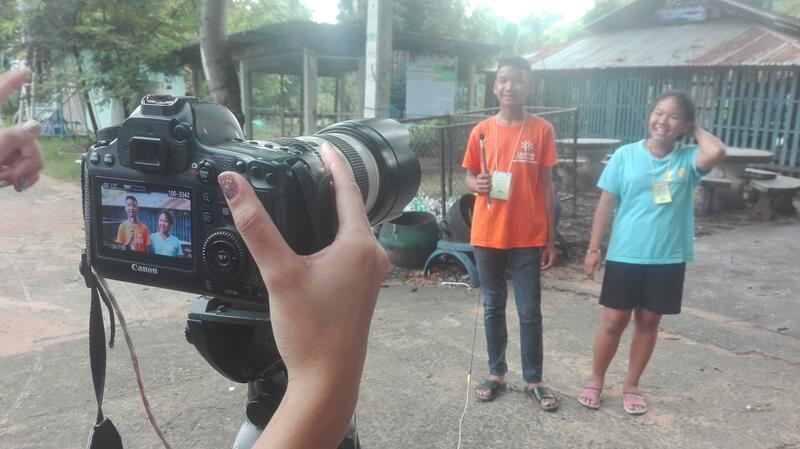 27 children have thus benefited from a comprehensive 2-day training (19 and 20 August 2017) run by a team of professional journalists (Kow Hoi Gleua Studio) to help them master the different techniques: team design, sound recording, shooting, interviewing, editing, etc. Results are impressive! Our would-be reporters will now share their knowledge with the partner schools, start “reporters’ clubs” and prepare media reports on themes of their choice in coordination with the teachers and the team of La Chaîne de l’Espoir. The activity will enable them to satisfy their thirst for discovery and look forward to the future.